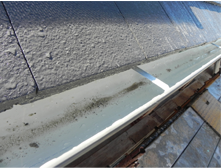 Clean out gutters well and flush down pipes. 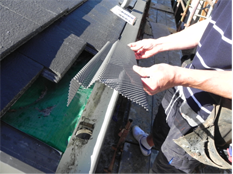 Lay gutter so that the colour is facing up.Fold scallops down by 30 degrees with thumb and forefinger. 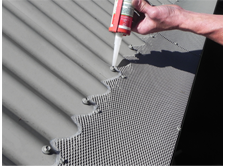 Lay in place so that the scallops fit nicely into the corrugation of the roof. 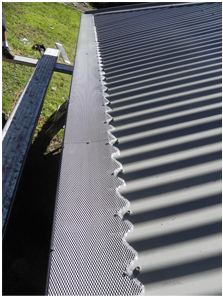 Along the scalloped edge place a screw on every 2nd corrugation rise aligned with the existing roof screws. 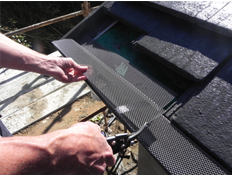 Make sure to align the gutter guard nicely along the gutter lip. 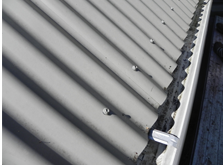 Secure to the gutter lip with GumLeaf Screws approximately 300mm apart. 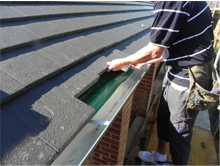 Interlock the middle of a join of two pieces using a GumLeaf screw. 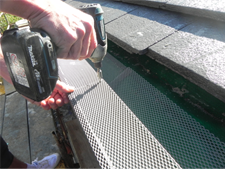 At the corners run the gutter guard over the hip,then cut and screw to fit as neatly as possible. 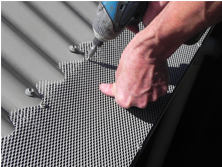 Apply a thin bead of silicone along scalloped edges to eliminate small gaps. Stand back and admire your great work. 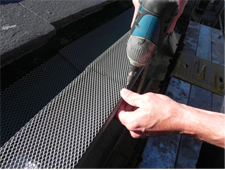 Slide the first row of tiles back. 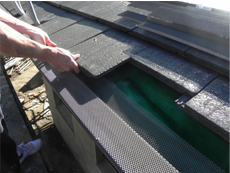 Lay gutter guard so that the chosen colour is facing up. 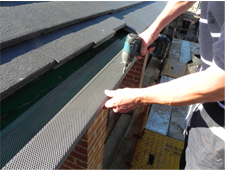 Secure to the gutter lip with GumLeaf Screws approximately 300mm apart. 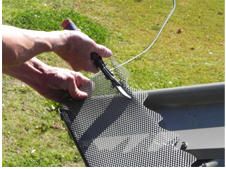 Make sure to align the gutter guard nicely along the gutter lip. 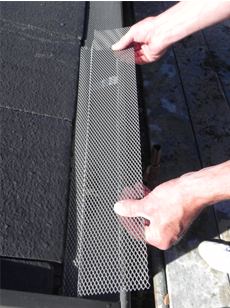 Overlap the join of two pieces of gutter guard by approximately 10mm. 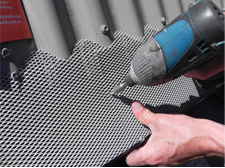 Interlock the join of two pieces at the back using GumLeaf screws. 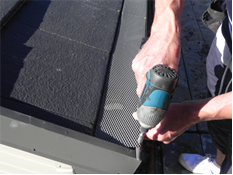 At the corners cut the desired length of gutter guard. 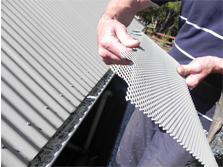 Fold down the back piece to make a double fold to suit gutter. 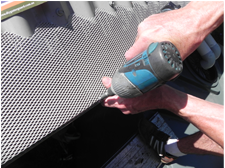 The piece should fit comfortably into the corner.